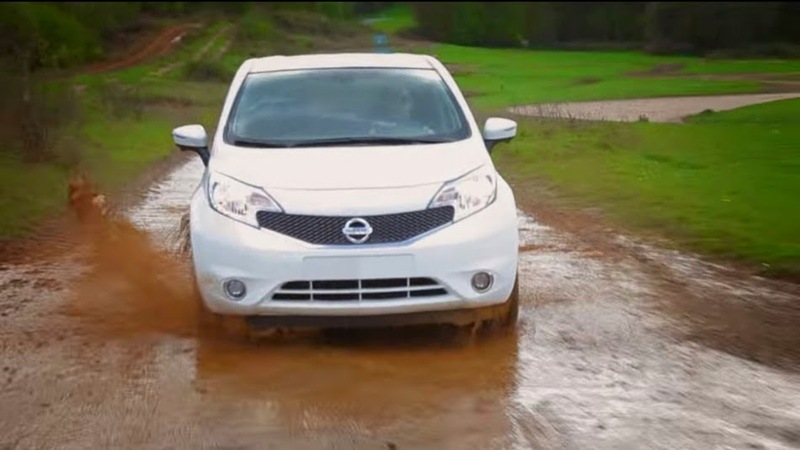 Nissan this thursday released an amazing car equipped with the self wash. They have just unveiled a new prototype that could potentially do away with car washes. The car maker made a statement talking about the new innovation said "By creating a protective layer of air between the paint and environment, it effectively stops standing water and road spray from creating dirty marks on the car's surface,"
The company said the paint, which is currently being tested on the Nissan Note, has "responded well" to normal weather conditions, including sleet, frost, snow and standing water. Nissan said its engineers will continue testing the paint over the next few months at Nissan's Technical Center in Europe. Nissan is the first carmaker to supposedly apply the technology, known as Ultra-Ever Dry, on automotive bodywork--specifically a European-market Note. Since the specially engineered paint repels water and oils, it effectively stops standing water and road spray from creating dirt marks on the car's surface.